Chiropractor | Decompression Traction | Herniated Disc | Acupuncture | Conway AR Conway, Arkansas, Chiropractic Care, Decompression Traction, Non-Surgical Herniated Disc Treatment, Exercise Therapy, Nutrition, Massage Therapy, Acupuncture, Ankle sprains, knee pain, wrist pain, headaches, carpal tunnel syndrome, libido increase, fertility treatment, pediatric chiropractic, torticollis, versaclimber, traditional chinese medicine, vitamins, metagenics, yoga, back pain, spasm, diabetic peripheral neuropathy, and more. 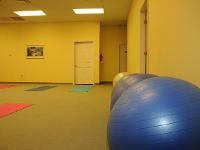 Massage Therapy, Yoga and More! We Have Moved to 2113 Prince Street between the Roundabout and Donaghey see you there! Welcome to LIving Well Chiropractic! If you have heard about the chiropractic wellness lifestyle and want to know more, you are at the right site. We offer many treatment options to fit the individual patient. No matter where you are on your path to living well, our office is ready to assist you. Perhaps you are seeking our help to recover from an injury or illness, we are well equipped to handle acute injuries and even chronic pain. You may be expecting a new addition to the family and need a drug-free approach to dealing with the growing pains of pregnancy, we can help! We practice a variety of adjusting techniques in order to offer the right care approach to the right patient. Our techniques include Diversified, Gonstead, Thompson, and Upper Cervical. We even offer Activator technique for those who require the most gentle approach. You can rely on the chiropractic services at Living Well Chiropractic. Full spine or Upper Cervical Chiropractic Care and so much more. Conway, Mayflower, Villonia & surrounding areas. Our cervical and lumbar decompression traction treatment is great for neck and lower back pain and helps treat sciatica, bulging or herniated discs, pain down the arms or legs, and compressive injuries of the spine. We also offer Chi-yoga™ spinal care classes. These classes strengthen the supporting musculature of the spine which ensures a more positive treatment outcome and prevents future injury. Individual or group therapy classes are available. Contact us in Conway, Arkansas, for chiropractic wellness services, including decompression traction, injury rehabilitation, or nutritional counseling. Monday & Wednesday, 10 a.m.– 3 p.m.
Tuesday & Thursday 10 a.m. - 5 p.m.
First & Third Saturday of the Month, 10 a.m.–1 p.m.